A sign with your company name will be placed on the beverage cart during the duration of the golf tournament. Sponsors may promote their business with banners, giveaways, and etc. ; must provide food and/or drink for all the golfers; may place a tent with table and chairs near the hole assigned to you; and may provide volunteers at your location on the golf course. A sign with your company name will be placed near a hole during the duration of the golf tournament. A sign with your company name will be placed on near registration and awards area during the duration of the golf tournament. Sponsors may promote their business with banners, giveaways, and etc. ; may place a tent with table and chairs near the hole assigned to you; and may provide volunteers at your location on the golf course. $500 for a 4 person team or $125 per person. Fees include: Course & Cart fees for 18 holes of golf, food & beverages. 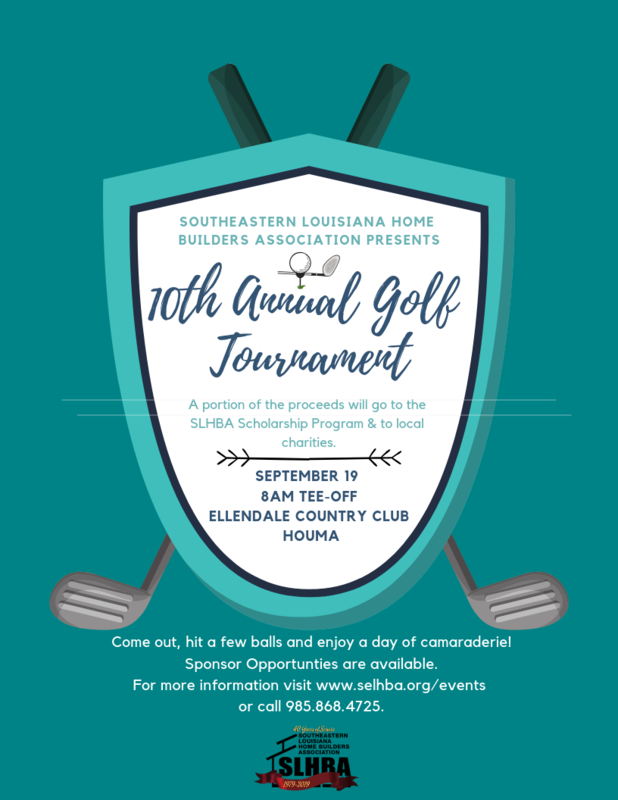 All sponsors will be acknowledged at the golf tournament with signage, on the SLHBA website, on golf tournament emails and through social media. Questions?? Call us at (985) 868-4725.